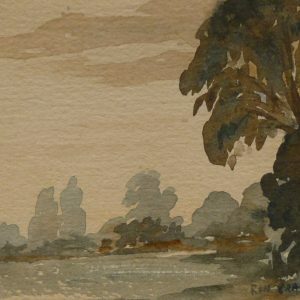 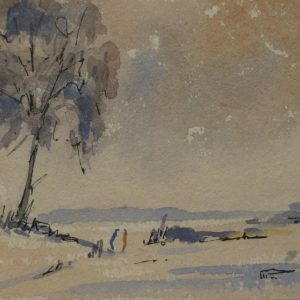 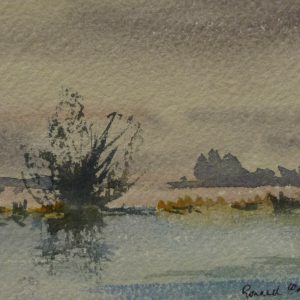 Ronald Crampton first discovered the appeal of the Norfolk and Suffolk landscape during World War II while serving with the RAF. 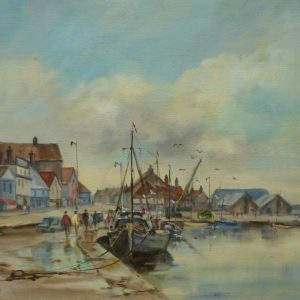 He finally moved to East Anglia in 1971 where he lived and worked for the rest of his life. 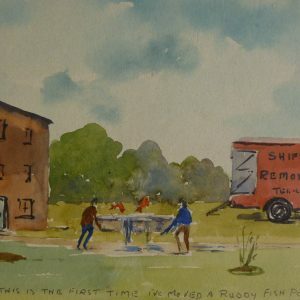 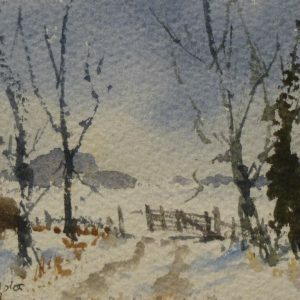 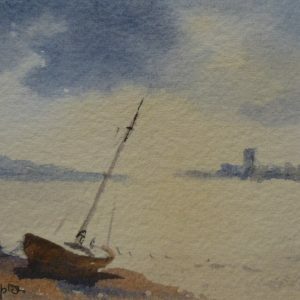 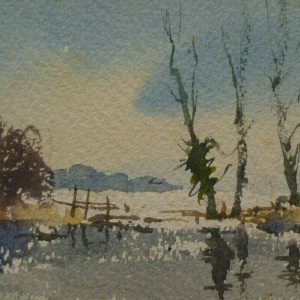 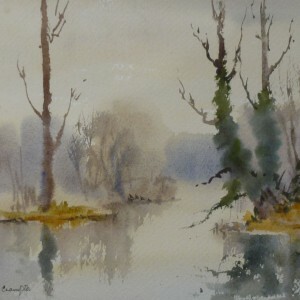 He exhibited widely over many years in various prestigious venues and exhibitions, including The Royal Watercolour Society Art Club, The Royal Institute of Painters in Watercolour, The Royal Society of British Artists, The Societe des Artistes, Paris Salon (Awarded Hon Mention 1966, Silver Medal 1976). 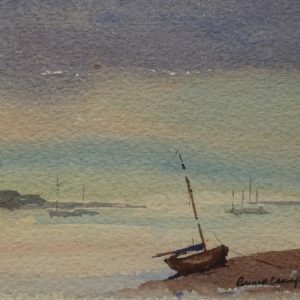 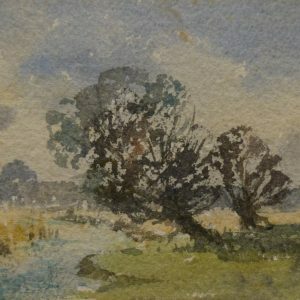 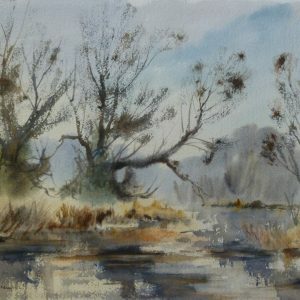 Crampton was a prolific painter in oils and watercolour, taking great pleasure in the immediacy of working out of doors. 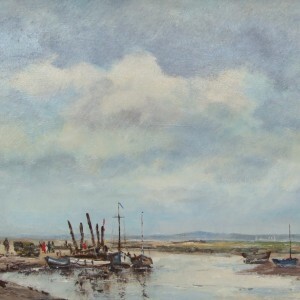 Over the years he had many one-man exhibitions, the last of which was at the Fermoy Centre, King’s Lynn, Norfolk, two months before his death. 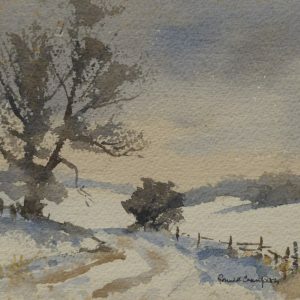 Ronald Crampton’s paintings are in collections all over the world. 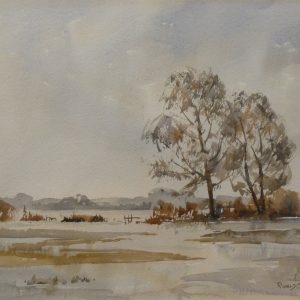 He was married to the painter Doreen Allen (1916 – 2000) and they lived together at Great Massingham Norfolk.